Kristen Mann and by a large margin. psssssh! She's hot! You just posted not that great of a picture! I've met her in person, and when she's not actually playing and sweating, and has a bit of make up on, she isn't bad looking at all! 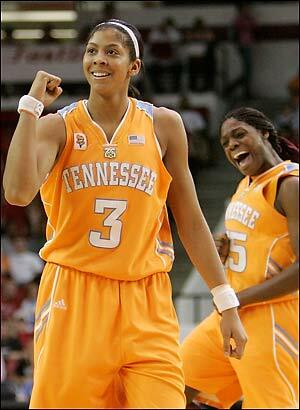 For me Its definitely Lauren Jackson! Female version of bow wow? And she's so ugly. Female version of bow wow? Her smile looks crooked on the last pic and she has bags under her eyes like she hasnt slept in a while. But she has a cute face though, not really HOT, but cute! 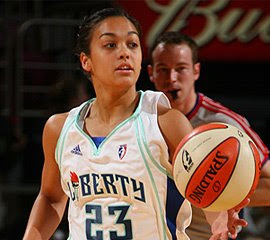 She's just 5'5 so unlike other WNBA she wouldnt be as tall or taller than me or most guys I like her.. I'm assuming those are the only eyes you've ever seen then? Are those her natural eye color or some contacts?